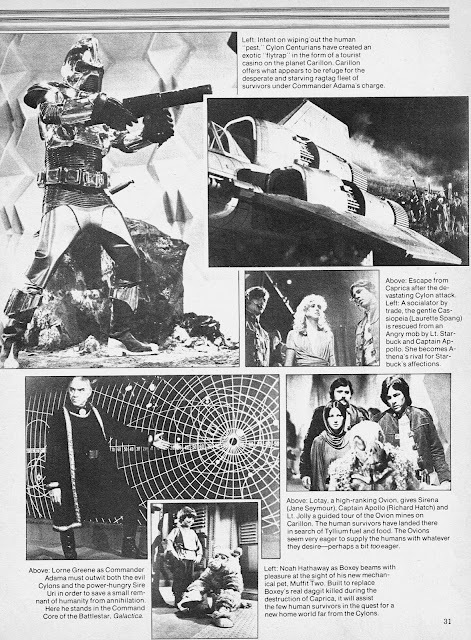 From 1978: Another STARLOG MAGAZINE preview for BATTLESTAR GALACTICA. Which somehow manages to make the opening night look a lot less exciting than it actually was. 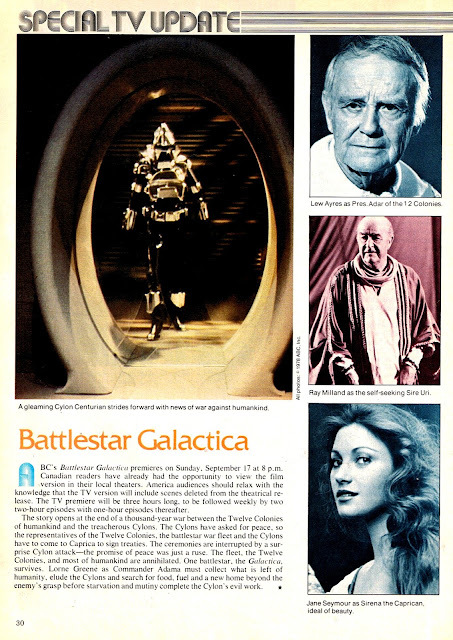 What's with all the old folk when you have handsome heroes and hefty hardware?